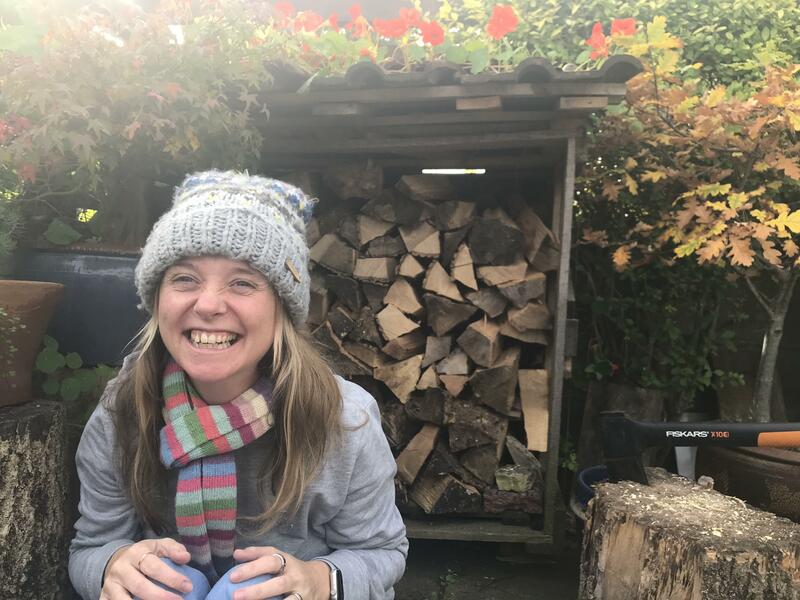 Last week I wrote this post about my autistic meltdowns. 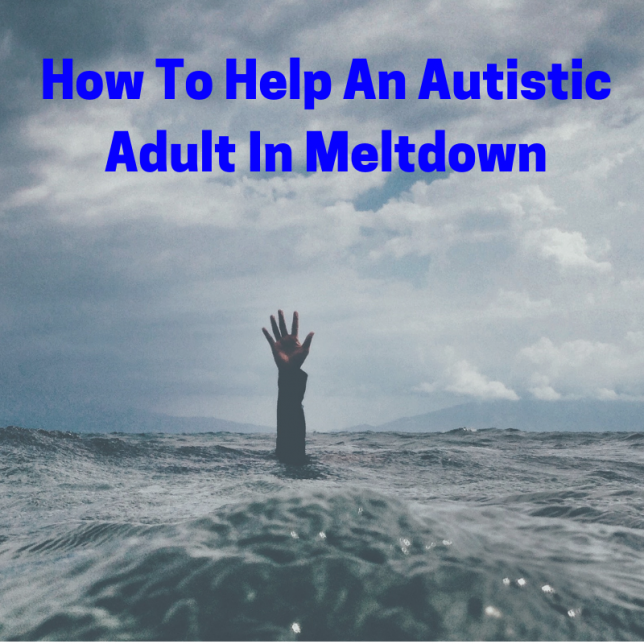 I write in hopes that it may help an autistic adult in meltdown . However it’s terrifying to share these incredibly personal parts of myself. After I’d pressed publish I felt exposed and self conscious. There’s a part of me that feels I shouldn’t be writing about autism. I’ve only recently been diagnosed and my autism is relatively ‘mild’. The diagnosis is new and I’m still processing it. I’m worrying about what people who know me think of the diagnosis. Am I being believed or am I being ridiculed? Blogging is probably heightening that feeling, as it’s all here for anyone to read. Ultimately though I got this diagnosis by being honest about my experiences and difficulties. My immediate family and close friends are 100% behind me and that’s all that matters. Writing about it here is therapeutic for me, and potentially helpful for others, so I shall continue to do so. Being given a diagnosis of autism takes time to process, and I experience a range of emotions about it every day. Some days I’m relieved to have finally figured my difficulties out, and given them a name. I’m confident to stand up and be counted as an autistic woman. Other days I’m edgy, anxious, wobbly and scared. Looking to the future and wondering how I’ll cope. As a result of this I’ve been experiencing more meltdowns, and near meltdowns, which are proving difficult for my family, friends and I to manage. Meltdowns are horrendous. They are exhausting, embarrassing and disruptive. I have two challenges ahead in learning to manage them. The first is learning how to avoid them. The second is learning how to manage them when they happen. I know that the reaction of those around me has an impact on whether they escalate, how disruptive they are and how I feel about myself afterwards. So I’m writing this post in hopes that these tips might be useful. The key thing for me to point out at this point is that once the meltdown is happening I am pretty powerless. I will not think to look at my list of strategies, and use them to help myself. Once the meltdown is happening I am not being logical, I am in flight or fight. So if you ever find yourself with an autistic adult who is having a meltdown here are some things that I would find helpful. Let them rant, cry, do whatever form the meltdown takes. I know it seems counterintuitive to avoid trying to problem solve. However, the meltdown is a sign of overstimulation. They cannot process anymore information. There was a final straw in before this meltdown but it’s not key. Processing words will add to the overstimulation, and make them more anxious. They likely won’t react well, and then after the meltdown they will have to deal with the shame of having not handled your input well. Instead stay calm and say little. If they seem able to cope you could gently remind them of one of the coping strategies that can calm them down. It might be a good idea to make a list of potential calming strategies together ahead of time. Again use as few words as possible, and stay very calm. I would like to be reminded that perhaps some time alone would be a good idea, a walk or sitting in my bedroom with the curtains drawn. I have several activities that might help if I get to them soon enough, like colouring in or playing games on my tablet. In the worst case scenario I have sedatives available to take, but when it gets this bad I never remember to take them and it would be helpful for someone to remind me. Try to remember this is not personal, it’s not about you at all. Often I say things which I really do not feel, I’m finding fault with the whole world and unfortunately no-one is exempt. Everything is wrong inside and I’m having difficulty expressing that in a constructive way. If you keep this in mind then perhaps it will be easier to stay calm and see this for what it is. A reaction to overwhelmed an overstimulated brain. I’m hoping that this will be helpful, personally to those around me and for other autistic adults and those that love and support them. I find it useful to read Ella and I am sure others do to. This can be from lots of different perspectives, it helps others understand and that makes for a more understanding world and hopefully the more people know about lots of things perhaps people will grow in empathy. That is really missing from our world I think x most of all it is helping you or I least I hope it is. Sorry about your increased meltdowns that must be really hard to be facing again. Thanks Ali, I’m hoping that this is the start of my path towards permanently coping better! I think I need to show this to my husband. Thank you so much once again for sharing. I hope you have good support around you that are helping with the meltdowns. I hope it’s helpful for him. Yes, those around me are much more understanding since I got my diagnosis and we have been able to identify these episodes as ‘meltdowns’. Any tips on how to help/cope with a spouse with Aspergers? Hi Jayne, sorry to hear you’re husband is struggling. I would recommend asking him when he is calm what would be most helpful. Perhaps you could write a list of strategies to refer to in the moment? Some obvious things are for you to stop talking to him as processing verbal info makes it worse. Also reducing stimulus generally, dimming the lights/closing curtains, reducing noise etc. Hope this is helpful. I found your artical very interesting and easy to read Ella. I am an Aspie who was diagnosed 5 years ago I am aged 62 now. I hope that your artical will be helpful for those who deal with me. Hello thankyou for your honesty , when my son comes home from university he has meltdowns but only when he’s at home . Could you please let me know why this happens? the melt downs only happen at home because he/she spends all their energy and effort to handle work/school etc. once they are home and able to “unwind” then their body needs a release and it comes out as a melt down. I started dating a guy four months ago, and figured out he had Aspergers about two months in. I sometimes say things that seem perfectly fine but he takes great exception to them and gets really upset and melts down. He says hurtful things. I know not to take it personally, and I have learned to calm him and make it better with kindness and reassurance. He does seem to take it on board and it diffused things fairly quickly. However I sometimes wonder if I may be in any danger in the future… he is a big guy and gets very intense… I do feel a little scared during these times. Could he ever hurt me? Example. He has long hair and it seems extremely important to him. I noticed he had two grey hairs, and mentioned it (I was nice about it, it was just an observation). He went nuts. He screamed at me that I was a liar, and ‘why would I lie to him like that’? That I was cruel, and he got seriously upset. He stormed off, cried and it really freaked me out. It was the first time I’d seen this. For that moment it was like seeing a Jeckyl and Hyde change… and it did make me feel afraid for my safety. The physical side of our relationship is very highly sexual, and he has been introducing me to a kinkier side, a dark side. I guess it is S & M, which I didnt realise I would like so much. The chemistry between us is so intense that it has turned my world upside down and made me a bit of a wreck mentally. Hi Annette, I’m really sorry to hear about the situation you’re in. TBH it sounds fairly abusive and I would advise walking away for your own wellbeing. Sorry. Hi there , it is semi reassuring reading these posts as I try and make sense of my 23 yr old son’s latest “meltdown” . It has all the hallmarks of being that bit I don’t know for sure and he does not have a diagnosis. It is v difficult to describe what happens , except to say that after a “normal “ kind of disagreement , comment re his behaviour which the average person might respond to with a “sorry….”,he gets hysterical very quickly, makes wild counter accusations, cries frantically and makes as if to pull his hair out in his frenzy. I feel like i’m being gaslighted, if that’s the right expre ssion..he accuses me of saying things that I haven’t and invents a past which bears little resemblance to what I remember being said or done, and the. Says that I a, driving him crazy by questioning that. Thank you so much for this, my story is so like yours my friends are having a heck of a time dealing with my meltdowns. You give me hope. Thx for being brave enough to share. Thank you for writing this. I’m looking for information on how to help my aspie husband when in this situation and your post is, indeed, help. I have meltdowns from too much sound. I am an adult diagnosed with Asperger’s Syndrome. I have only been diagnosed for a few years and am still learning how to cope with it. Too many loud noises will put me in a meltdown, where i am not making sense of what others around me are saying. I often miss social cues as well, such as emotions, facial expressions, or body language. I coil when people touch me. If someone gets too close to me or touches me, I automatically move away from them, whatever situation I may be in. Next story What do your children want to be when they grow up?